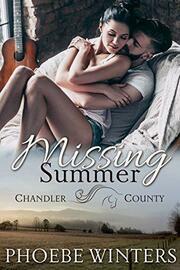 Summer Graystone hadn’t been to her hometown of Chandler County Kentucky since she left for college ten years earlier. But when she receives word that her grandmother passed away, Summer leaves her condo in Atlanta Georgia to say her final goodbye to the woman who was a significant part of her upbringing. Family, old friends, and new faces arrive to pay their respects and in the midst of them is Summer’s old crush. The thrill that used to surround her when in his presence was still as potent today as it was back then, even more so and Summer wonders if returning to Chandler County was fate aligning their stars. Aiden Johnson has long since put thoughts of Summer Graystone to the back of his mind after she left him to pursue her career. His days at the firehouse, practicing drills and going out as a first responder, kept him busy. It isn’t until Summer’s grandmother dies that Aiden gains a glimpse of the woman Summer’s become. Suddenly, memories of being lakeside and sitting shoulder to shoulder at the Derby reels through his mind. As their connection holds strong, unexpected sparks fly, and a whirlwind romance ensues. But when Summers’ past comes knocking, she remembers why she left town so long ago, and why she might have to leave again; possibly severing her relationship with Aiden forever.